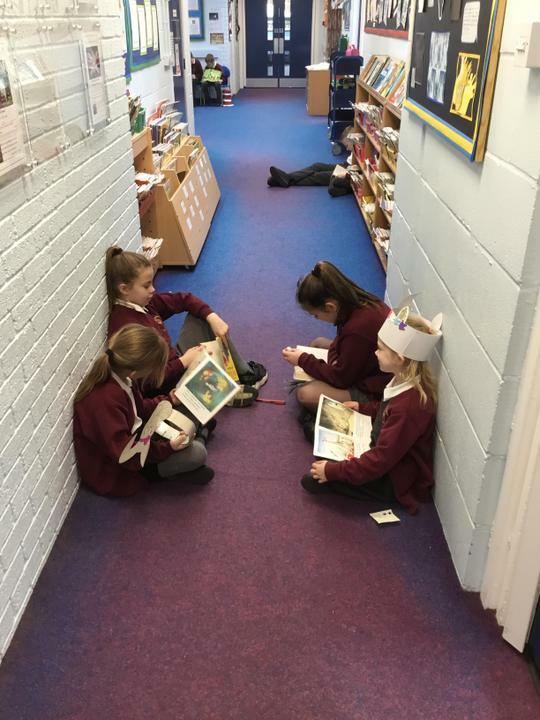 Belmont was certainly 'mad about hats' on World Book Day recently! 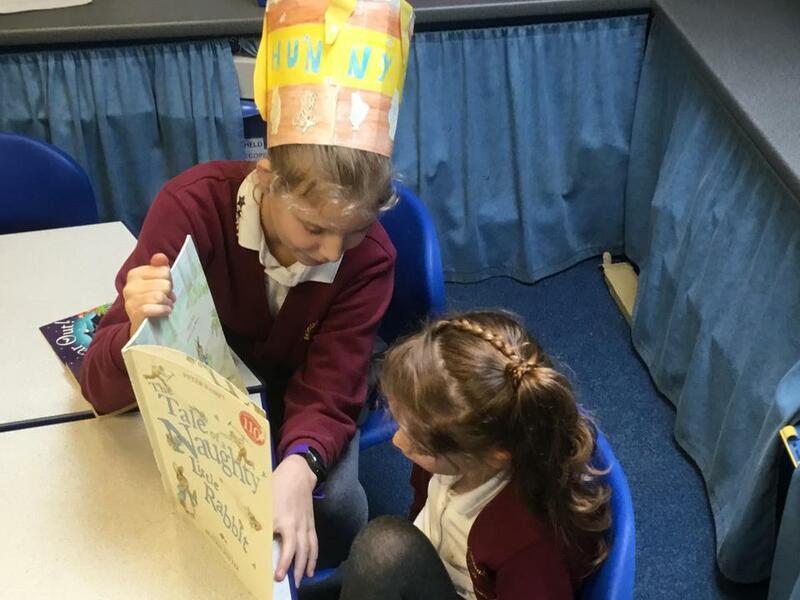 Everyone was excited to take on the challenge of creating a hat that could be worn by a favourite book character or a celebration of many different aspect of a favourite book. 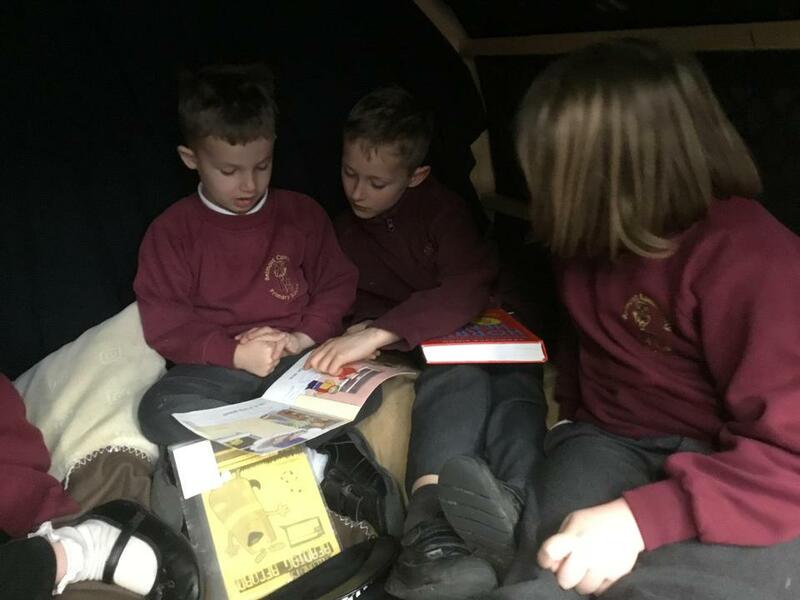 Part of the day involved the children sharing books with children from other classes. 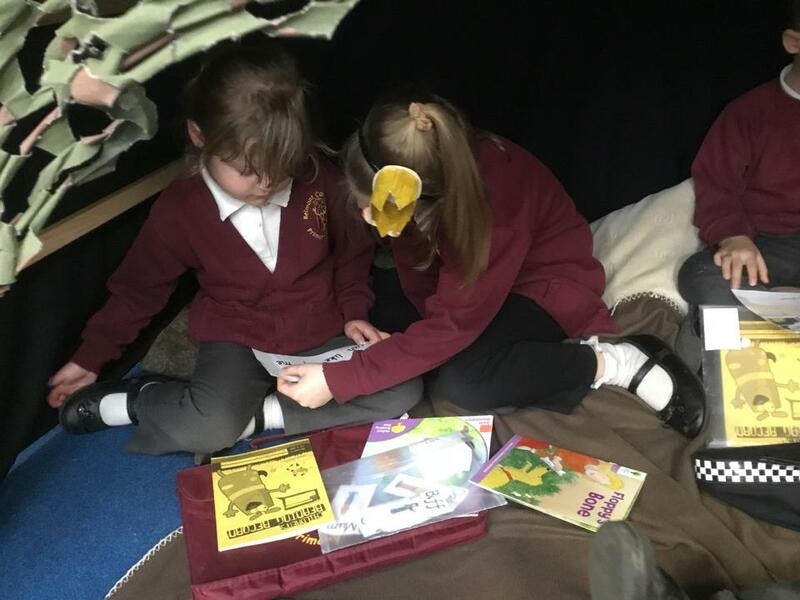 As you can see from the photos, in pairs and groups they found spots all over the school - from cozy corners to cushions in corridors - to read stories to each other. All agreed it was great fun! 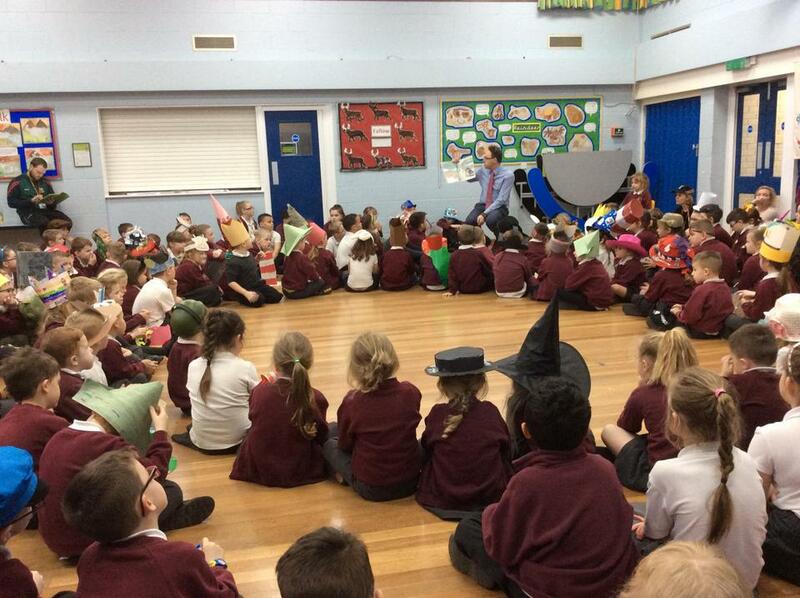 At the end of the afternoon, there was a grand parade of hats in the hall which was followed by a fabulous story - The Crow's Tale by Naomi Hawarth - read by Mr Grossmith. 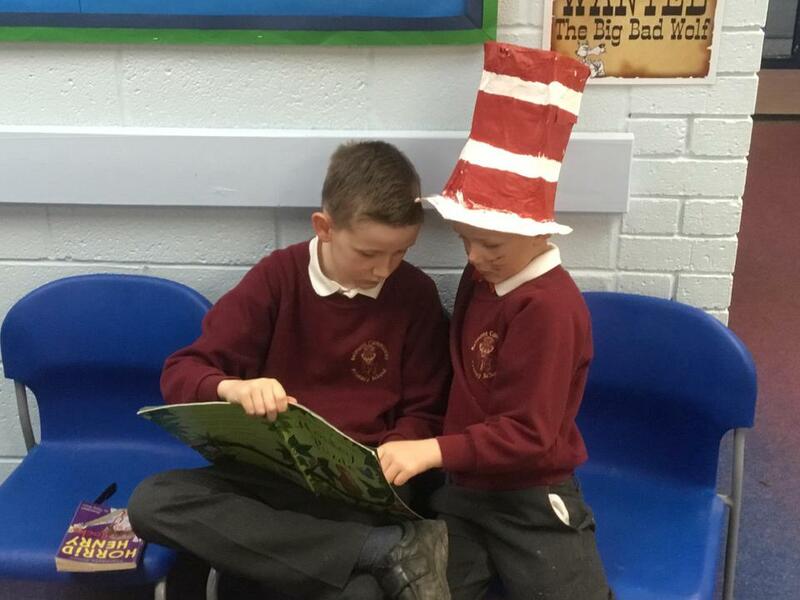 Thank you so much to everyone who helped the children create such fabulous hats. 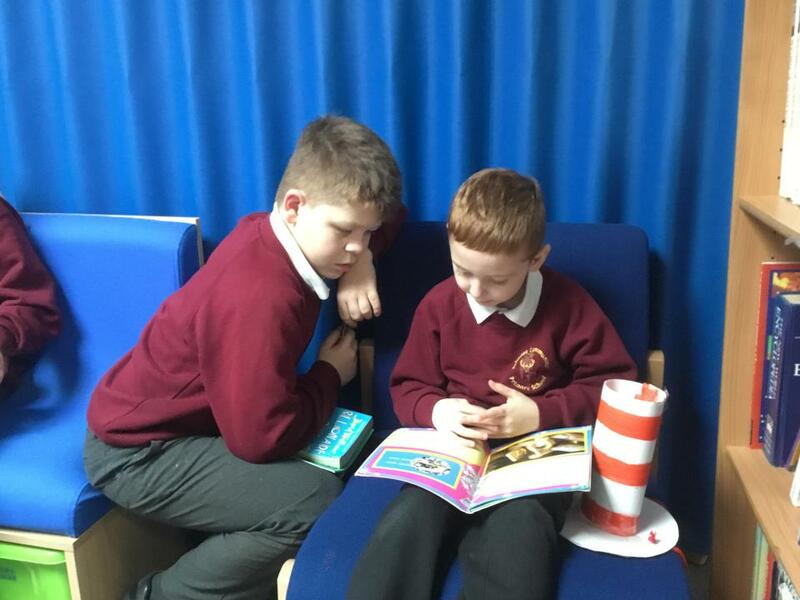 More photos can be found in the Gallery.